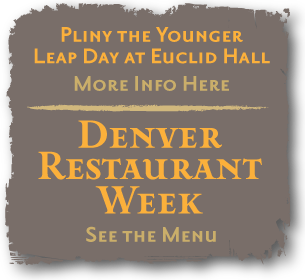 Euclid Hall Bar and Kitchen is the third restaurant from the team of Jennifer Jasinski and Beth Gruitch, owners of the award winning Rioja and Bistro Vendôme on Denver's historic Larimer Square. 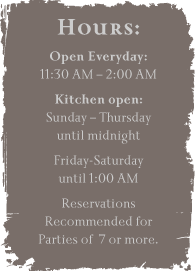 Located right around the corner from Rioja in Euclid Hall, an 1883 building that once housed the venerable Soapy Smith's bar, this American tavern focuses on high quality and innovative pub food from around the world including housemade sausages, po' boys, poutine and schnitzels. An extensive beer selection and creative cocktails drive the beverage program. Open for lunch, dinner and late night seven days a week, Euclid Hall is the perfect for Auraria students, LoDo club-goers, Denver convention visitors, before or after Pepsi Center games and concerts, and performing arts patrons on their way to or from the Denver Center for the Performing Arts.